In light of current events happening in the state of Texas regarding a group of polygamists, I feel I should explain a little more about polygamy. To quell any doubts in your mind, members of the Church of Jesus Christ of Latter-Day Saints (Mormons), do not, I repeat, do not engage in polygamy. Men have only one wife and women have only one husband. This has been the law in our church for 117 1/2 years now. If anyone associates in any way with the practice of polygamy and they do not disavow their practices they are excommunicated from our Church, no questions asked. I have one wife and thank goodness I have only one wife! I would have double the honey-do list if I had two and I can’t even keep up with the one. It is true that in our early history there were men who had multiple wives. The reason? We believe in continuing revelation from God as the method for guiding the Church and its people. That is, we believe that God speaks to us through prophets, just as he always has from Adam down to Jesus Christ and the original twelve apostles. We believe that God called Joseph Smith as a prophet, just as he had all of the previous prophets. We also believe that God commanded Joseph Smith to institute this practice of polygamy and to his credit, he was obedient. We don’t know exactly why God commanded this, but polygamy is not a new thing. Abraham, Isaac and Jacob had multiple wives; Moses did too. Like I said, God commanded and these men obeyed. In this same vein, on September 24, 1890, Wilford Woodruff, then president and prophet of our Church declared that from this date forward, plural marriages would not be allowed. This was to be in accordance with the constitutional laws that had been established. As quick as it began, it was ended. You must realize that this declaration became a binding doctrine upon all members of our church at that time and ever since. If they did not heed the declaration, they found their way out of the church. You must also realize that there were those who were not happy with this. Those who disagreed and would not follow the established doctrine called Wilford Woodruff a fallen prophet and split from our church. They set up their own church, the Fundamentalist Church of Jesus Christ of Latter-Day Saints (FLDS). These are the people who are still practicing polygamy today in Colorado City, AZ/Hildale, UT and Eldorado, TX as well as other places. They still recognize Joseph Smith as a prophet, as well as Brigham Young and John Taylor, the second and third prophets, but not Wilford Woodruff the fourth prophet of our Church. Why they believe that God could command one thing, but not be able to stop it is beyond my understanding. Christ of Latter-Day Saints does not practice polygamy. I hope that this helps you all understand where the Church stands on this issue that comes up over and over again. If you have any questions, please feel free to ask. What are the boundaries for continuing revelation? For instance, would you, like the FLDS, denounce a prophet if they were to say that one not really need to trust in Jesus for salvation? Thanks for your post. You bring up an interesting question. Philosophically speaking, I am sure that a philosopher could flesh out some contradictions. While, this may be an issue for the philosopher, I put my belief and faith in God, who knows all, not in man who can err and who does not know all. As I have read and reread your question and thought about what you asked, I feel that I need to define in whom my trust is found. I trust in God, I don’t trust in man. When I do what the prophet says it is because I believe that what the prophet asks me to do is what God asks of me. Thus, there is no reason for me to doubt what the prophet asks. Secondly, there is no reason to doubt, because I have followed and heeded his, the prophet’s council many times and thus far and whenever I choose to do what is asked, I am blessed for doing so. I might be blessed in keeping myself free from addiction, or my marriage might become stronger, or I might be able to accomplish things that I never thought possible, but the point is that the prophet’s council and heeding it has never failed me. Now as to questions about how far continuing revelation can extend, even perhaps to the point of the prophet saying that we need not trust in Jesus anymore for salvation. There are eternal laws, laws that cannot be broken and are always true regardless. One of these laws is that “No man cometh unto the Father, except by [Jesus Christ].” I believe that my salvation lies in Jesus Christ and no one else and that he has laid out a plan, whereby I can gain that salvation. I have gained that belief and knowledge through sincere study, thought, contemplation and asking God in prayer if these things were true. He confirmed to me that they were true through the Holy Ghost. Therefore, yes, I would denounce a prophet who declared that I need not trust in Jesus Christ anymore for my salvation. However, when it comes to other commandments, I believe that God is free to command and then command to do something else. God tells Moses that he needs to institute what is now the Law of Moses, the Jewish people lived by this law for a long time. Then Christ comes and after he dies and is resurrected Peter declares that it need not be followed anymore (Acts 15). Thus, we understand that God has power to command and then to remove his command, but remember that the prophet is God’s mouthpiece, the prophet does not make up the doctrine. Therefore, there are times when commandments are instituted for God’s purposes and then when that purpose is accomplished they are removed or added upon. The last thing that I want to add is a quote by President Wilford Woodruff and what he said about the prophet not following the will of God, “The Lord will never permit me or any other man who stands as President of this Church to lead you astray. It is not in the programme. It is not in the mind of God. If I were to attempt that, the Lord would remove me out of my place, and so He will any other man who attempts to lead the children of men astray from the oracles of God and from their duty. (Sixty-first Semiannual General Conference of the Church, Monday, October 6, 1890, Salt Lake City, Utah. Reported in Deseret Evening News, October 11, 1890, p. 2.). Therefore, I think that you can see that I believe that I will not be led astray, because God would remove any prophet who began to lead the church, including me astray. Therefore, I have no reason to wonder if what the prophet is saying is really from God or not, of course it is, because as President Woodruff said, “The Lord [will] remove [him] out of his place”. I hope that helps you out. In our most recent General Conference Elder Dallin H. Oaks of the Twelve Apostles spoke on knowledge and testimony. Specifically, I would underscore the fact that we all have two different channels to God and each channel has a distinct purpose. “…I refer to the relationship between obedience and knowledge. Members who have a testimony and who act upon it under the direction of their Church leaders are sometimes accused of blind obedience. “Of course, we have leaders, and of course, we are subject to their decisions and directions in the operation of the Church and in the performance of needed priesthood ordinances. But when it comes to learning and knowing the truth of the gospel—our personal testimonies—we each have a direct relationship with God, our Eternal Father, and His Son, Jesus Christ, through the powerful witness of the Holy Ghost. This is what our critics fail to understand. It puzzles them that we can be united in following our leaders and yet independent in knowing for ourselves. Read the full talk for more details. 1)As Ben quoted President Woodruff, the Lord will remove a prophet who goes against His will. I don’t need to concern myself about it because God would deal with such a situation. 2) I have a strong testimony of personal revelation. If there is ever a question in my mind whether counsel comes from the Lord, I can pray about it and God will let me know. Thank you for your response. I have a few questions though. In the first paragraph of your response you say that you put your faith in God and not man who can err. However most of response after that seems to be defending the credibility of the men whom you call prophets. In fact, most of the beliefs that you as a Mormon hold and that diverge from orthodox Christianity are dependent upon the validity of Joseph Smith’s testimony. Also, what exactly qualifies as God ‘removing someone from their place’? Joseph Smith was killed in a jail, Brigham Young died at 76. Were these men ‘removed’? If you answer no – why? When I do what the prophet says it is because I believe that what the prophet asks me to do is what God asks of me. Thus, there is no reason for me to doubt what the prophet asks. I want to say that there is plenty of reason to doubt what a prophet says sometimes. When Joseph Smith prophesied that he would never be overthrown and that God would continually strengthen him, and then less than two years later he was murdered – that gives me plenty of reason to doubt. I understand that many prophets have given sound advice, but so has Dr. Phil. I am also curious if there is a list of the eternal laws, or if they can be deduced from the whole of scripture like you have done? For many of the prophecies that can be overturned are in your Doctrines and Covenants and hold the position of scripture, right? I agree that somethings are discerned in community as well as individually, but there are many people who pray just like you do and come to the opposite conclusion about the validity of the prophecies. Just look at the FLDS. Here is a good article and video where Elder Quentin L. Cook, an apostle for The Church of Jesus Christ of Latter-day Saints, appealed to the news media today to make a clear distinction in their reports between the Church and the polygamist sect in Texas that has made headlines throughout the world. I am not LDS but have heard there is the practice of polygamy in heaven – a man can be sealed to more than one wife, however a woman can’t be sealed to more than one husband. Can you clarify this? Heather, I will answer your question, but I need to study for an upcoming exam. I have spent my free time answering Jeremy’s questions as he was the first. I will get to it as soon as I can. Nowhere in our canon of scripture does it say that a man will have more than one wife in heaven. Therefore, many will speculate, but the answer is that it is all speculation. I have heard of men who are sealed to more than one woman. In this instance, the wife has died and the man desires to get married again, so he does, I have also heard of the same situation with a widow, whose husband has died and she remarries. However, I need to say one thing and then I will leave the subject. We do not know what the next life will be like, nor do we know exactly how everything will work. So, all I can say and be sure of is that the ultimate decision will be made by God who is the Supreme Judge. Few things. Teeechnically, we do still practice polygamy. A man can be sealed to more than one woman while he is alive (and one or more of them is not still alive). We actually technically practice polyandry now too, though it it a more recent (1998) thing. A woman can be sealed to more than one man as long as all involved have passed away. I think what is necessary here is a re-structuring of the way we understand polygamy in its historical and current context. I like Richard Bushman’s analysis in ‘Rough Stone Rolling’ that polygamy was more about sealing everyone to everyone else to create an eternal family of God’s sons and daughters. But that’s a whole other discussion. Also, it might be helpful to read up on the years following the Manifesto. “Mormonism in Transition” is a great place to begin. It is pretty commonly understood that even though Woodruff gave the manifesto in 1890, apostles and other general authorities continued to practice polygamy (which isn’t a surprise, it was part of the legal deal), but more importantly, continued to perform polygamous sealings. This happened more or less until the “Second Manifesto” years around 1910 and 1912, coming after the big fiasco hoopla associated with Reed Smoot and his Senatorial race. So, I think the real issue here is not merely who practices polygamy (because they didn’t follow the prophet) and who doesn’t (because they follow the prophet)–its way more complicated and nuanced than that. The real issue is really trying to figure out what the difference in the basic ideas about polygamy are between both churches, since both recognize it in their history (in a common source) yet practice it differently today. Also, where do we draw the line between “righteous” polygamy and cultism? It really is a conflated and at times very touchy subject to broach, but we do need to face all these things full on I think, without fear, and with open minds, willing to change. Aaaaaand, that’s enough for today. Whew. Ben mentioned that there are no scriptures that say a man will have more than one wife in heaven. I think that D&C 132 is pretty clearly talking about polygamy as celestial marriage. Yes, the church has redefined “celestial marriage” to mean eternal marriage between a single man and wife since the manifesto, but you do have to own up to the existence of the scripture, even if you acknowledge that newer revelation (up for debate?) has replaced that idea. Thanks for your comments. In D&C 132, I don’t get any kind of message that eternal marriage = plural marriage. The first 30 or so verses explain that marriage (not plural marriage) is required for exaltation, or they ‘remain separate and singly…’ vs. 17 I see that whole discussion as a preface to understanding the institution of polygamy outlined in the rest of the chapter. Plural marriage is not a principle of the gospel. It is a practice that the Lord commands when He deems it expedient (like food storage, or hometeaching), and only those who receive the command are authorized and expected to participate. Plural marriage may become necessary from time to time to further the work of the Lord and to aid us in our efforts to keep that early commandment: multiply and replenish the earth. I’m with Thaddeus on this one–God created Adam and Eve. Not Adam and Eve and Rebekah and Deborah and Sylvia. The rule is monogamy, with polygamy (or polyandry) coming in as needed. Regarding your post on polygamy I think it is great the LDS church decided not to have it right now, but if you look at their doctrine, the LDS church still practices it in the temples when a man marries a wife after his first one dies. Why is the church so strong against it, when they really still believe in polygamy? How is polyandry needed and where else in history other than Joseph Smith has a prophet done this in the name of God? But I am trusting that Heavenly Father doesn’t see women as property of men, so I am not opposed to the idea that plural marriage could work the other way also–however, I just wrote that because someone would inevitably comment on how Mormons practice both polygamy and polyandry and I wanted to cover my bases. Plural marriage is not a hot topic of discussion within the Church. We view it as a footnote in our collective history; it has very little bearing on our lives today. We put our emphasis on the principles of the gospel: faith in Jesus Christ, repentance, sacrifice, love, etc. Regarding Celestial plural marriage, would you rather have the widow divorce his beloved late wife and deny her the promise of an eternal family, or marry his new bride outside the temple and crush her hopes of exaltation with him? The Christ-like thing to do would be to help both of the women he loves, and I’m grateful the Lord accepts such plural marriage arrangements when necessary. ***Correction: I should have written ‘widower’ rather than ‘widow’ in the above comment. As some LDS missionaries recently visited us, we questioned about men having more than one wife in heaven. Simply stated, we said “so you did away with polygamy on earth, but will go ahead and have it your way in heaven”….the missionaries responded saying…”pretty much, yes”. Interesting. I just found a great, comprehensive article on Jeff Lindsay’s website about polygamy. Check it out here. Here is a recently created official site from The Church of Jesus Christ of Latter-day Saints, which discusses the facts on Mormons and polygamy. It sums up our beliefs very well. First, I think most of the general debate (not just on this blog but in other areas of discussion as well) surrounding Polygamy and the LDS church is NOT about whether polygamy is practiced here and now, but the whether polygamy is practiced beyond this life. Second, I have to admit I was a bit suspicious that this website was an “official” LDS website. First off, the giant NO does not match with the positive, soft tone found in most LDS writings. Also, the footer at the bottom of the page is blurred suggesting it was copied and pasted from an official LDS website. In addition, the footer has a hyper link in it where none of the other footers from the official LDS websites have one. The color scheme of the LDS website does not match the color scheme of this one. The font size and type do not match as well. For anyone who has worked in any sector where “official” publications are distributed, writing standards and consistency is a key to branding. The “share this page” feature on your referenced page is not found on any other LDS page, all the LDS sites have an image in the browser tab next to the page name of Jesus, this site leaves an image of a paper, and finally, the church has NO other YouTube videos on their site because they edit, host, and stream their own. I must say it is a bit odd as well that this website was only created on June 26th, 2008. In that time (about a week) the site has been created, posted, and has had enough attention drawn to it that it is being passed around online? That makes me a bit curious. Although, that may also explain why this website looks so cheaply done and why it doesn’t match the look and feel of the other “official” LDS websites. For an organization really trying to make a statement about its stance on polygamy, I would expect something better from its “official” website on the issue. Style guide note: When reporting about The Church of Jesus Christ of Latter-day Saints, please use the complete name of the Church in the first reference. When referring to Church members, the term Latter-day Saints” is preferred, though “Mormons” is acceptable. If Latter-day Saints is preferred (and that is the case) why would an “official” website title itself “Mormons and Polygamy” and why would the use of “mormons” be so prevalent in the post as opposed to Latter-day Saints? Heather, I am going to answer your questions in flip order, first about the website I posted and then about polygamy in the afterlife. I appreciate your feedback regarding the Mormons and Polygamy website. I was able to access this site so quickly because my brother works for the Church and directly with Newsroom.lds.org (one of the LDS Church’s official websites), the mother site for this micro-site. He sent it to me as a point of interest that day and I posted it to the blog. This is a fairly unique type of site for the Church at the moment. The site is designed to be easily found in search engines, with the purpose of trying to get the truth out there to as many people as possible. This micro-site is not the first of its kind. GordonBHinckley.com and ThomasSMonson.com were the first, and there are likely to be more to come. I told my brother about the Church logo being blurry, and he will pass that feedback along. Thank you! Please know that no one can legally use that logo and copyright on their website unless it is from the Church so you can be sure that it is official. You do raise some good questions about why the site used “NO.” to start the page, and why it refers to the members of the church as “Mormons” and not “Latter-day Saints.” I believe that the purpose of this site is to make it absolutely clear that members of the LDS Church do not practice polygamy. There is so much confusion out there regarding this because many in the media and on the internet refer to those in the FLDS church and other polygamous groups as Mormons. We want to make it very clear that this is incorrect. We are in no way affiliated with these groups. Now in response to your other question: Do members of the Church believe in the existence of polygamy in the afterlife? Such questions arise from time to time even among Mormons, and the questions tend to near the realm that distracts from the core doctrines that are pertinent to our salvation. Let me illustrate. We believe in the eternal nature of the family). That is a core doctrine that is pertinent to our salvation. Now, one can reason that Jacob’s twelve sons – who became the fathers of the twelve tribes of Israel – would not be separated in the eternities from their respective mothers (of whom there were four) by a just God simply because they shared a single father. That said, does that have any pertinence to whether or not I will be with my family in the eternities? No. Whether or not Jacob and his family will be together in the life to come is between them and God, just like whatever happens to me in the eternities to come is between God and me; and, the same goes for you and everyone. What’s important is that we’re all drawing closer to God. His Son, Jesus Christ, has made that possible for each of us. When we hear things about doctrine that we aren’t sure about, we are encouraged to study it out and pray about it. If it’s important to our salvation, we will gain further knowledge about it. If not, then we simply must trust that when it does become important for us to know, we’ll be given to understand, most likely in a future moment of study and prayer. In the meantime, these things we do know and hold to be true: that God lives. He is our Heavenly Father, and through his Only Begotten Son, we can return to live with Him one day. And there we can be with our family members who have gone before. That is our faith. That is the message of hope rooted in the doctrine of the Gospel, or “Good News,” of our Lord and Savior, Jesus Christ. I hope you will forgive a personal story. A family with three children, with whom we are good friends, lost their middle child, a two year-old daughter, who drowned in their backyard pool. I know of no more a poignant definition of the word “tragedy” than when that dear mother, who had just been talking to her daughter minutes before, found her in that swimming pool. It is from such experiences that we hold fast to our hope that this mother and daughter will embrace once again. They’ll talk and laugh and play as they once did. That is what it means when we say that we believe in the eternal nature of the family. And that’s an important, true, and core doctrine that is pertinent to our salvation: if we are true and faithful to our Savior, Jesus Christ, He will lead us in His path, and we can and will be with our families forever. Kendra, thanks for teaching me about the micro-sites. I did not know about those previously. The LDS church does use YouTube to some extent (Heather is right that LDS.org is used for most content). Their official videos are posted through the LDSPublicAffairs channel. A further whois check does show the domain was registered on June 26, 2008 by Intellectual Reserve — the entity which holds the copyrights for the church publications. i’m jumping in on this conversation about a year late! But I was wondering about that situation Kendra mentioned about the family that lost the 2 year old daughter. I think it’s beautiful that they will be with her again in eternity- but will she be 2 years old? Will she age? An LDS friend of mine told me couples who were childless on earth will be able to have children in heaven- another beautiful concept, and I wonder about their children. Will they age just as they do on earth? And I assume then that the adult’s age- to what point? When do we stop? What’s the ‘perfect” age we will be stuck at for forever? And will those children born in heaven have an opportunity to marry and have their own families? Some women are unable to raise all their children to maturity, because their children die at an early age. The Prophet Joseph taught that many of these children were too pure and lovely to live in the corruption on earth. Even as we mourn their present loss to us, we have reason to rejoice because they have been delivered from evil. (See Teachings of the Prophet Joseph Smith, sel. Joseph Fielding Smith , 196–97.) He also taught that those who die before the age of eight are saved in the celestial kingdom (see D&C 137:10). The mothers of these children, if they live faithfully, will raise them to maturity during the Millennium (see Joseph F. Smith, Gospel Doctrine, 5th ed. , 455–56). I’m not aware of any specific revelation regarding the “perfect” age of a resurrected body. Regardless of our age, I believe we will be healthy and strong and good-looking. It’s one of the things I eagerly anticipate. With all respect, I understand The LDS church does not practice polygamy because in the USA it is illegal — your belief system comes from the fact that polygamy is a civil crime in this country. If polygamy were legal would the LDS practice it? That’s the real question. I think the answer is yes it would be permitted. Where do you find the biblical basis for God commanding Abraham, Isaac, and Jacob to have multiple wives? Abraham remarried after Sarah died (he did have concubines, again not scriptural). The Bible records Isaac as having only one wife – Rebekah. Jacob did have multiple wives, but God didn’t tell him to. Just curious which verses from the Bible you are using to support this statement. Thanks. LDS(mormons) still practiced plural marriage for many years after Wilford Woodruff issued his Manifesto. Plural marriage is still believed to be the order of the Celestial Kingdom, with those who make it to the highest degrees being polygamists eternally. Joseph Smith ‘married’ girls as young as 15, married sisters, married a mother & daughter combination. He ‘married’ a number of women without the knowledge of Emma, his only legal wife. Joseph Smith had many young women in his home and later ‘married’ them. A classic case of a sexual predator grooming future victims of his child molestation. How do we know for sure WHAT Joseph told Emma? They, like most married people,I am sure talked intimately about such things and every conversation they had isn’t written down. It is presumptous at best for us to assume we know everything two married people discussed in their private moments. It must have been a hard teaching for Emma Smith I am sure. But she DID accept it as coming from God or she would have left Joseph I would think. Who would stay in a polygamous marriage if they didn’t believe it was from God? All the polygamists today believe God is commanding them to practice polygamy. The ones who don’t leave their church. I don’t agree with them but they do have free agency and they are using it. Hi! I’m a teenage Mormon girl, and I’ve got a few questions about polygamy. I hope that you don’t mind. Anyway, I’ve been told that polygamy was instituted to help the Church’s early growth. What I don’t understand about this though is why, exactly, polygamy was used. Couldn’t the Church have grown just as much with just marriages between one husband and one wife? Or were there really thirty times more women in the early church? Also, did Joseph Smith have multiple wives? I’ve read that he did on LDS.org. I’ve also read that some of his wives as young as eleven, and that some were already married before they became the wives of Joseph. Finally, how did his polygamous marriages allow the church to grow? He only had children with one wife, I believe: Emma. Alright, just one more question to go. Will polygamy be instituted again in the last days? It says that it “obviously” will in the book “Mormon Doctrine” by Bruce R. McConkie. And would I have to participate in this practice? Hi, Madison! We don’t mind your questions at all. Why polygamy? Was it all to grow the church? Did it grow the Church? That seems to be at least part of the reason. Look up what Jacob taught the Nephites about plural marriage in Jacob 2:24-30 (especially verse 30). There may have been other reasons, including a lesson in obedience similar to Abraham being asked to sacrifice Isaac. Perhaps it was an attempt to make sure everyone had the sealing ordinance. Did the Church grow faster as a result? I assume so, but I haven’t been able to pin down any firm statistics. Did Joseph Smith have multiple wives? Young ones? Already married ones? He did. There isn’t strong evidence supporting the view that these were sexual in nature; DNA analysis of offspring from these women either show that Joseph was not the father or are inconclusive. Young brides were quite normal for the time period and region. LDS historian Richard Bushman believes this early form of plural marriage Joseph engaged in (as opposed to the later Utah period of the Church) was more in the vein of forming dynastic linkages between families, using the restored sealing power. I highly recommend his biography of Joseph Smith: Rough Stone Rolling. Will plural marriage return? Will I have to participate? I personally don’t believe plural marriage will be re-instituted on the earth, but I could be wrong. There will be some plurally-married families in the eternities, so we all ought to start thinking charitably about the idea if we intend to be their neighbors. Whether we will be required to participate in plural marriage or not, I take great strength in reading about how the early saints dealt with this difficult commandment. I recommend seeking out and reading their testimonies. I find it interesting that you state the Mormon church no longer practices polygamy but you do not say that the church does not believe in polygamy. Does the church believe in it and if they do is only reason they do not practice it was so Utah could get statehood? I refer you to Doctrine and Covenants Section 132 verse 61-65. Ron, yes. There is a difference between practice and doctrine. The practice ceased, but the doctrine did not change. The reasons for ending polygamy were complex and may have had something to do with gaining statehood. I believe the Lord always intended for it to be a commandment of limited duration. 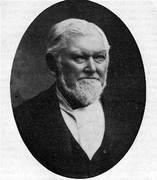 We believe that the practice ceased with the Lord’s sanction, as communicated to his prophet, Wilford Woodruff. What about the Ten Commandments in the Bible? Throw them away and honor the commandments Joseph Smith created for his pleasure and convenience? You call marrying children as well as other men’s wives courageous? So young brides were “quite normal” for the time period and region? Maybe so, I don’t have evidence to dispute that except research I have read shows early 20’s as an average age for marriage during this time period. The question I have is how many of the young brides of the time period were actually courted and fell in love with the man they married? Mr Smith was not concerned about this process as during 1842 & 1843 he had months where he was cranking out more than one marriage per month! To me this is quite disturbing. I haven’t been on the site for awhile! I have missed the discussions here. With 9 children to raise I don’t get as much time as I would like. My oldest son leaves on his mission to Argentina in two weeks and though we are excited for him we will miss him terribly. On this issue of polygamy, it would seem to be a source of great “speculation” about how old we will be in heaven, who will be sealed or not sealed, who we will marry when we are there, will we be able to have more children, will we be forced into plural marriage and so forth. The fact is we don’t know exactly how things will “work” in the eternities. There has been no revelation that I am aware of that explains exactly how plural or non-plural marriages will be handled. I believe our focus needs to be on this life. How we choose or not choose to live a righteous life, an obedient life, a happy life, a life filled with joy. That is where my focus is, I cannot possibly imagine the mind of Heavenly Father but I can trust in Him absolutely that He will only allow the best for us, in this life and in the next. Just my thoughts! MIke, I understand your position and that you don’t accept Joseph Smith as a prophet. I don’t know if the women and men who were involved in plural marriage fell in love prior to their marriages. What I will say is that I know that Joseph Smith was God’s prophet, just as any of the Biblical prophets. Just I stated in my article, some of those prophets were in polygamous marriages as well and I know God commanded them to do so, just as he did Joseph Smith. Why has plural marriage been an intermittent part of God’s kingdom on the earth since the beginning of time? I don’t know, but God has his reasons and I trust in God and his omniscience, even when He commands us to do something that we cannot understand completely. Take care. You said that Abraham, Jacob, and other prophets in the bible were commanded by God to practice polygamy. God did not command that at all. Please, please, go back and read Genesis. Abraham’s wife Sarah was desperate to have a child and when God promised her that they would have a son and it didn’t happen in her timetable she took matters into her own hands and had her maidservant Hagar lie with Abraham. The rest if the story is of utter anguish that this caused them all. I believe God tells us this story to show us that we should trust in him and not do things on our own when Gods timing isn’t on our timetable. Sarah’s actions are a cautionary tale of those inclined to rush ahead of Gods perfect plan. Then you could read of how Jacob was duped by his father in law and was given Leah instead of Rachel in his tent on his wedding night. Then, the rest of the story is all of the horrible jealousies that came to pass. I was once Mormon and know how easy it is to justify things that church leaders say but please look into things on your own instead of only believing what someone tells you to believe. The stories that we were all taught about Joseph Smith bring a noble man and prophet of God are far from factual. The Church makes Joseoh Smith out to be a saint. Please do your research on him before you post anymore canned answers. Thank you.